Picture this: you’re at work when you slip on spilled oil, fall and break your leg. Clearly, the business owners are at fault–they failed to provide a safe work area for you, the employee. This slip and fall accident at work seems like a pretty cut-and-dry case, right? 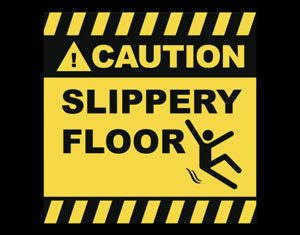 Well, slip and fall premises accidents like this hypothetical one often are anything but simple. In fact, a number of things must be proven in order to win. Because slip and fall accidents at work don’t exist in a vacuum, let’s look at a milestone case. In 2009, Randy Austin, a maintenance worker at Kroger grocery store in Texas, was ordered to clean up a bathroom spill. In the process, he slipped, fell and hurt himself–very badly. Kroger did not subscribe to the worker’s compensation system in Texas. Austin sued Kroger in state court. He argued that Kroger was negligent, and Kroger argued that Austin should have been aware of the dangerous condition. Kroger went on to remove the case to federal district court. The ruling set a precedent in Texas courts, allowing them to treat non-subscribing workers compensation employers the same as subscribing employers. So that’s some background. Using this case as a lens, let’s examine things that must be proven to win a slip and fall case. This sounds straightforward, but what constitutes an “unreasonably dangerous condition” can vary widely based on the setting. For example, at Kroger, Austin’s entire job was cleaning up spills. He was a self-described “floor cleanup person,” for crying out loud. A cleanup person knows spills are slippery, right? Well, yes. But according to court records, the situation at Kroger went beyond a typical spill and into “unreasonably dangerous” territory. After an employee pressure washed the store’s condensor system, oily liquid leaked through the ventilation ducts into the women’s and men’s restrooms, where it covered 80 percent of the floor. Kroger has a system and materials to use to clean spills of that magnitude, but the necessary product, an absorbent product called Spill Magic, was not available. So Austin had to tackle this giant, slippery spill without the right materials. He was more than aware of the danger. He placed “wet floor” signs around the spill and took baby steps around its perimeter. And still, he slipped. A giant spill like this one is pretty difficult to ignore–and in fact, Austin’s supervisor did order him to clean it. The business owner failed to make the dangerous condition reasonably safe and failed to adequately warn the plaintiff of the condition. Austin didn’t have access to Spill Magic, which reduces the chance of a slip and fall by 25 percent, according to the handbook. Would Austin have been saved if he’d had this product? Maybe. The condition must have been concealed (i.e. not “open and obvious”). Seems like Kroger had the upper hand on this one. The dangerous condition caused the plaintiff to fall and become injured. Yes, obviously Austin slipped and hurt himself on the job. Kroger argued that they didn’t owe anything to Austin, because he was aware of the hazards when he took the job. He could always have refused to mop up the spill, right? Well, it’s not much of a choice if you’re a low-income person with a family to support, who needs to keep his job. The plaintiff must be injured and have damages to support their claim. Austin fractured his femur, dislocated his hip, spent nine months in the hospital and had nine surgeries. To this day, his left leg is two inches shorter than his right leg. So What Happened to Austin? Typically, an employer owes the employee duties: the duty to keep the premises safe, the duty not to injure the employee through negligence and the duty to provide proper training, supervision and equipment. The case went to the Texas Supreme Court, where the court ruled that Austin had no choice–he had to enter an unsafe premise as part of his job–and that Kroger should have known they were putting him in a risky situation, and taken steps to make its premises safe. “As Austin’s employer, Kroger owed Austin duties in addition to its premises-liability duty and its duty not to engage in negligent activities, including the duty to provide Austin with necessary instrumentalities,” wrote Justice Jeffrey S. Boyd. So a slip and fall accident at work is often anything but cut and dry. 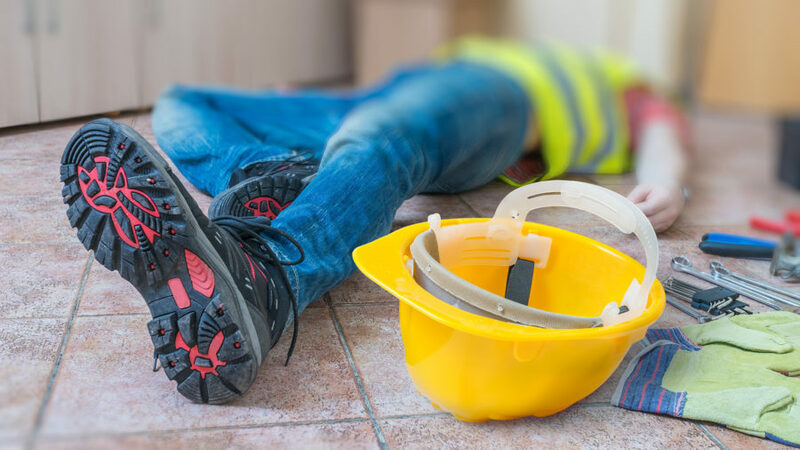 Bottom line, if you or someone you know has been injured in a slip and fall accident at work, choose a personal injury attorney with a record of success. 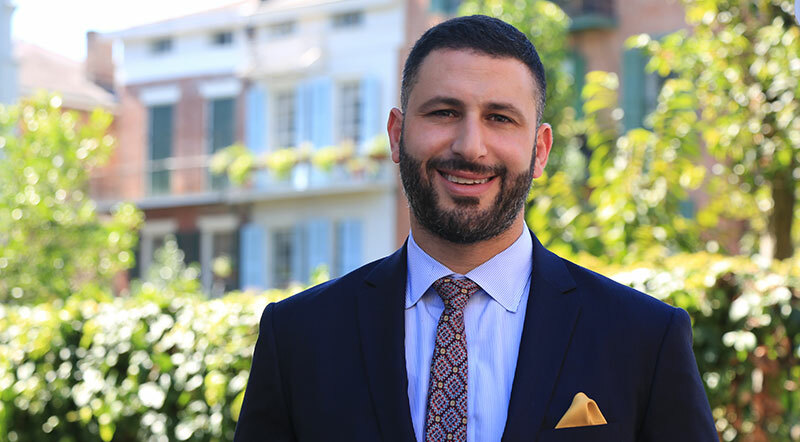 Whether you’re dealing with a slip and fall accident at work, wrongful death, workplace accident, product defect, or ,premises accident, Shamieh Law has a proven track record of winning million-dollar, and multi-million dollar judgments & verdicts. Shamieh Law offers a free case evaluation to anyone wrongfully injured in Texas or Louisiana, regardless of their ability to pay.